Are You More About 'Likes' than Being 'Liked'? PR Master Peter Shankman Lays It Out. - Peter Levitan & Co.
Are You More About ‘Likes’ than Being ‘Liked’? PR Master Peter Shankman Lays It Out. I spoke at HubSpot’s enormous Inbound 2014 conference in September. This was without question the largest advertising conference I’ve attended. It consumed the entire Boston convention center. I was told that there were around 7,000 people attending. 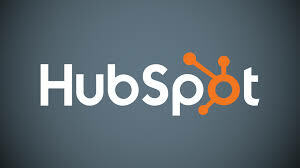 The draw was Hubspot’s leadership in inbound marketing and a fantastic list of speakers. I had two favorite moments. One was a ‘comedy central’ (and insightful) monologue and the other was, yes, about me and how I wrote my new book from idea to published in just 6 months. 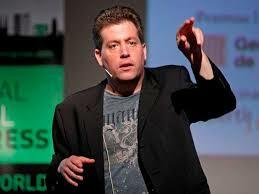 PR master Peter Shankman was one of the most insightful speakers at Inbound 2014. Peter drove a large audience of marketers and advertising agency types into fits of hysteria during his 45-minute talk about being a smart (and nice) marketer. His staccato monologue was all stand-up and included only one slide. It was a rare PowerPoint-free and very funny experience. I hope that HubSpot puts the talk up on its website soon. Peter discussed the marketing power of good customer service and how he built the online PR tool HARO and sold it 3 years after launch. Most businesses and, in the case of the marketing-oriented Inbound audience, advertising agencies dream of creating a service or product that can be sold. He did it. 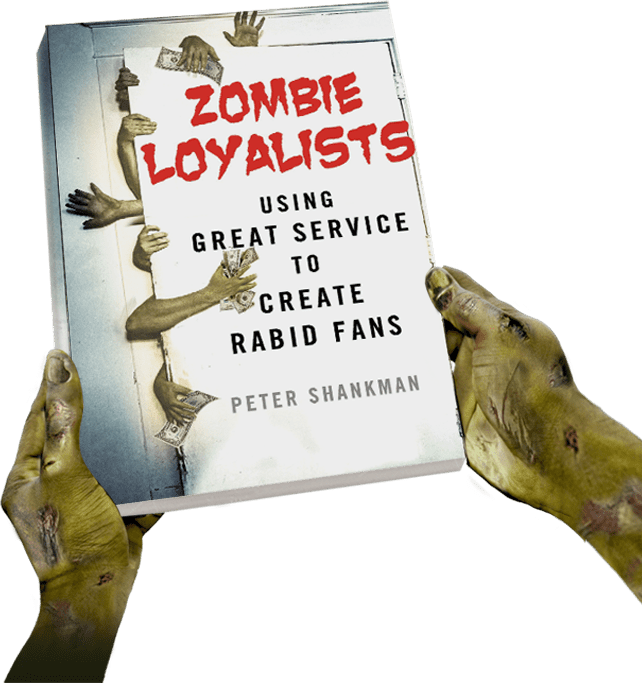 Peter’s latest book, “Zombie Loyalists”, will be out in January. In the meantime, visit the book’s website. Peter, tell me a bit about your Inbound talk. It was a lot of fun. A smart marketing audience like that hears a lot of about social and metrics, scale and analytics, but to be able to talk to them a little bit about the basics of customer service and being nicer to your audience and how that actually generates more revenue than almost everything else combined is a lot of fun. I love being able to share that insight. You’re saying that just being nice is a forgotten marketing tool? You know, we live in a society and a world where two things happen. One, we can advertise and market in so many places and in so many different ways, Yet, when we stop and think about it, we’re still interacting with a customer. The simple act of realizing the customer is not just someone on a website but a real person with real issues and taking those few extra seconds to sort of look at that fact, can translate into really big into dollars. The second thing is that as a customer, we expect to be treated like crap on a regular basis. Treating your customers just one level above crap doesn’t even have to be great. One level above crap and you’ll really win them over and they will go and sort of do your PR for you. Tell the world about their amazing experience and drag customers to you. Is your point that we need to stop telling people to ‘like’ us on Facebook and just focus on just being ‘liked’? Exactly, and it’s so easy to do. Again, when the bar is set so low by the ridiculously bad customer service that we have in the world, you know, it’s not that hard. Based on this idea of being likable, what advice would you give a business in terms of how they market themselves? We’d go to the local pizza store and get four or five pizza pies and bring them over around lunchtime and we would simply sit in the conference room and we’d say, “Hey, any, anyone in your company who wants to join us and talk, come have some pizza on us.” We didn’t bill them for it. They would tell us what was going on, and the beauty of that was that we’d get so many ideas for new things that we could do for them that we never would have thought about because they never would have shared them with us. So you know, treating them the client human beings and listening to them really drove a lot of business to our agency. So, you changed the paradigm of a client meeting? Yeah, totally, and it was calm, it wasn’t in your face. I mean, who the hell doesn’t like pizza, right? Did you ever get thrown out? You created the popular PR service Help A Reporter Out (HARO.) What is it? I talk to everyone. If you’re on a plane next to me, unless you’ve faked your own death, I’m going to know everything about you by the time we land, and so, I have a pretty big Rolodex. What I would do is email reporters every once in awhile, “Hey, you know, I saw your piece on whatever, I’m not pitching you, but if you’re working on anything and you need a source, I know a lot of people. Some reporters would say, “Okay, this guy is obviously crazy,” but others would take me up on it. I’d find them Sub-Saharan soil experts, and I’d find them all these different people. From this idea, we launched HARO out of my apartment with my cat and within a year we had over 100,000 members. We eventually had about 240,000 people getting three e-mails from us a day with media queries. That’s 3 e-mails a day to 240,000 people at about a 70% open rate. It was a scene. I sold it three years after launch to Vocus. It’s called Vocus Cision. A reason I find your HARO experience so interesting, other than the fact that my own advertising agency used it to get press, is that you created a service that you sold. Any advice on how a business can create a sellable service or product? I had no idea what I was doing when I launched HARO, other than knowing that there was a need for what I was building. And the only reason I knew that was because journalists kept asking me who I knew who could help them get their stories completed. And, friends who wanted to be in the media were always asking for help there. The best advice I can give you is to listen – listen to everyone – and at some point, you’ll notice that there’s a need for X – whatever X is. Build your product around X. Tell me a bit about your new book. The new book is called The ‘Zombie Loyalists’. It’s being published by Palgrave MacMillan and it drops in January, 2015. The basic premise is that being customer focused and nice…just one level above crap — nets a tremendous profit for your business, and makes your customers WANT to do your PR for you. We expect to be treated like crap in any customer interaction. Be better than that, you’ll win every time. I have case studies that support the idea that being one level above crap generates lots more revenue from everyone from Ritz Carlton to Tiffany’s. Line up to buy Peter’s book here. I had the opportunity to speak at Inbound as a result of the art of guest blogging on HubSpot’s “Agency Post” advertising industry blog. The benefits of guest blogging on high traffic blogs like this one include broad market reach for your own brand and thinking and the traffic that comes from including links back to your own website – and offers to speak at large conferences. Back to how to write a business book in 6 months. I wrote my new book on pitching and presentations in 6 months. “The Levitan Pitch. Buy This Book. Win More Pitches.” Is dedicated to the marketing communications community that needs to learn how to pitch better. According to the 30 experts in my book, many of whom have sat through over a thousand pitches, most agencies make the same mistakes over and over. I have tried to help them through my insights that come from 30 years of presenting and pitching around the world. The how to publish in 6 months presentation covers the branding and marketing benefits of writing a business book which include building your credibility, having something to talk about with your new business prospects and having lots of content that can be repurposed. In my case, I have over 60,000 words to spread out over the next 12 months. I also discuss how to get from idea to published using internet publishing tools and friendly experts. My scenario includes going all digital to produce a paperback, eBook and audio book (no agents and publishers for me) and how to use expert interviews to add intelligent content to your book. You can see my HubSpot presentation on SlideShare right here. You can also buy my book on pitching on Amazon. Hey, two ‘Peter’ built books is a good thing. This entry was posted in Book, Marketing, Personal Branding, Social Media and tagged digital marketing, marketing, social media. Bookmark the permalink. Trackbacks are closed, but you can post a comment.